Nova, Other Virtual Synth from Audio Verge. DJSH Music is a young sound library developer who is offering two collections for sound designers working with Kontakt. The first DJSH Music sample library for Kontakt is Texture, a collection of 100 patches with pads, atmospheres and textures that can be tweaked thanks to an effect section featuring envelopes, filters, distortion, chorus, phaser, reverb, delay as well as a rotary speaker simulation. It is designed for film, TV or video game music. Texture requires the full version of Kontakt 5.4 and later. The library is currently available with a 50% discount, so you’ll only pay £14.99 instead of £29.99, if you use promo code 7C5465D5 during checkout at www.djshmusic.com until the end of July. 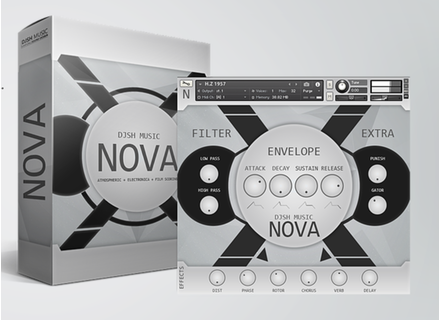 DJSH Music then developed the Texture concept and has just launched Nova, another library for the full version of Kontakt 5 that includes 100 patches created from analog synths and field recordings. This collection is almost 15x bigger than texture and includes 5x more samples, it also gives you the ability to play chords and melodies, which is not possible in the first library. 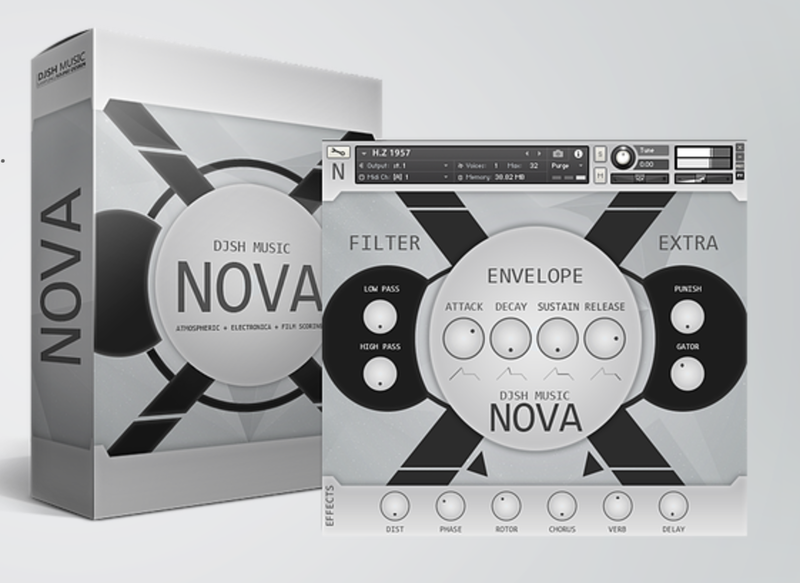 Nova is available for £49.99 and you can download a free demo pack from www.djshmusic.com. Native Instruments Lone Forest for Maschine The new NI expansion pack for Maschine, Massive and Monark is fully dedicated to dub techno beats. Full reverb on the way! The Auxy sequencer app reaches v2 Auxy recently updated their free Auxy sequencer for iPad to version 2.0, in order to add new sounds and features. Flash sale on Waves CLA Drums: $29 today Waves has launched a new 24-hour flash sale during which the Chris Lord-Alge Drums multi-effect processor is available for $29 only.